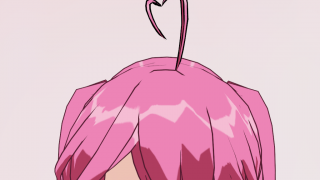 As I said about the “plugs into the back of Madoka”, it is exactly just that. 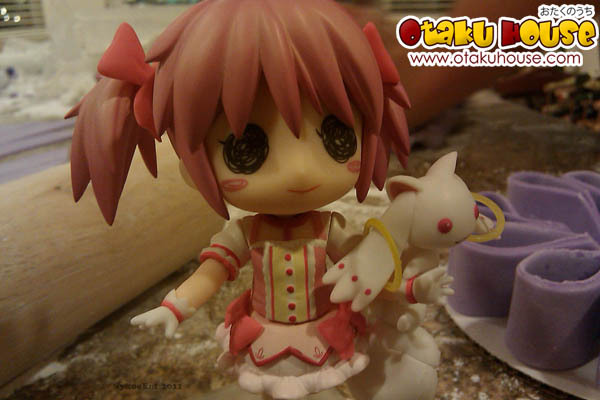 The base arm, is grounded to the peg base and the “head” of the arm that connects to the back of Madoka, is a separate piece. My guess is that they are planning to utilize this base for the older Nendo’s by switching out the “head plug” with something more of a “hug arm”, that could hold up the older Nendo figures. 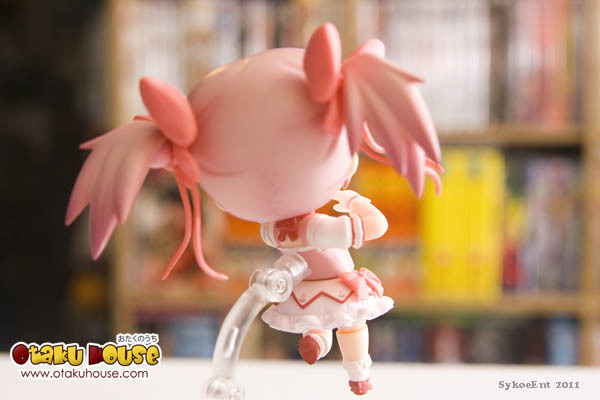 The back detail, of Madoka, wasn’t costed out, and continued with the design of her costume down to the bow tied behind her neck. 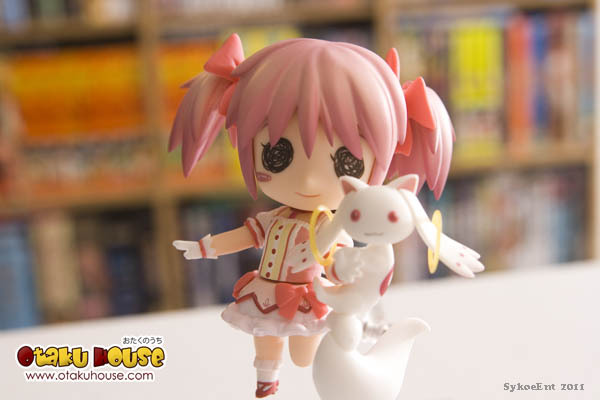 Kyubey rests on Madoka’s arm by a plug on her arm that is plugged into Kyubey. 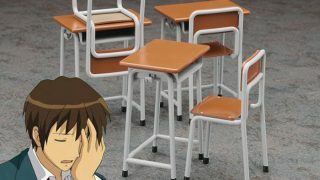 Kyubey, itself, is detailed quite nicely, with its flowing… uh… ear hair thingies with attached earring loops.The tail is articulated and it came with a second “standing” body.